Chicago hip-hop artists Kami will release his sophomore album Very Slight on September 14th. 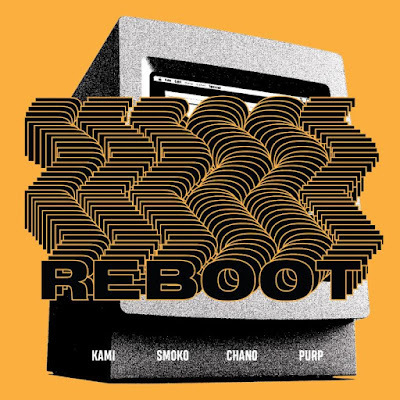 Today, he drops the first single, "Reboot" featuring Chance The Rapper, Smoko Ono and Joey Purp. Listen to "Reboot" here. Kami is part of the SAVEMONEY crew and one half of Leather Corduroy's, his project with Joey Purp. He released his debut album, Just Like The Movies in 2017. FADER said "Kami has an explosive presence, his fiery flow fills up a track." Throughout the landscape of musicians in the Chicago area, KAMI's upbeat energy helps him produce some of the most interesting hip hop that is coming from the city. By blending elements from the roots of rap and hip hop, synth-driven new wave, and pop vocals, KAMI has been able to form a signature sound that resonates with audiences across all genres. Very Slight, KAMI's upcoming project in partnership with Smoko Ono is due out September 14th. Kami will appear at The North Coast Festival featuring DJ Snake, Miguel, Mura Masa and more on Sunday, September 2nd. Refuge Foundation for the Arts is a non-profit organization providing sanctuary for the pursuit of creative expression through music and art. Founded in response to the lack of resources available to artists today, it is the mission of The Refuge to offer patronage and opportunity to creators in a supportive and collaborative environment. Bordered by the Fox River in Appleton, WI and built in 1935 by Capuchin-Franciscan monks, our beautiful 33,000 square foot facility houses recording studios, art studios, and artist residences amid ten acres of protected nature, gardens, and orchards.